Mithali Dorai Raj is an Indian women’s cricketer and one of the most important players of the team since she made her debut in One-Day International (ODIs) in 1999. Here, CisTheta Global is presenting UNKNOWN FACTS ABOUT MITHALI RAJ THAT EVERY INDIAN SHOULD KNOW! Before cricket, Mithali was into classical dancing. During her childhood and teenage days, she learned Bharatnatyam and wanted make her name in the same field. But it seems she was destined for something else and later she became one of the most successful players of Indian women’s cricket team. When Mithali became the second female cricketer to cross 5000 ODI runs, twitter started calling her as ‘Lady Sachin ’. 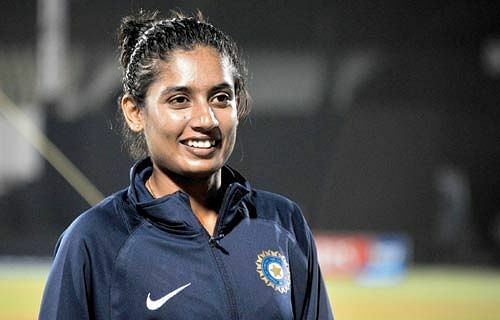 There have been only five woman cricketers who have scored hundred on debut and Mithali is the fourth player after Enid Bakewell, Lynne Thomas and Reshma Gandhi and also she is the youngest women’s cricketer to score a hundred on her debut in ODIs against Ireland at the age of just just 16 years and 250 days old. With 6190 runs in ODIs, currently Mithali is the second highest run scorer after Charlotte Edwards and also With 186 ODIs, she is the second most capped ODI women’s cricketer in the world after Charlotte Edwards. Mithali is currently ranked 1st in the ICC Women’s ranking..And I became a fan of her when India won the Asia Cup 2016 without losing a single game.